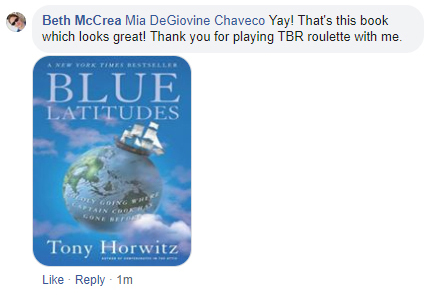 TBR roulette is a fun game designed to help people choose a book to read next from their "to be read" (aka TBR) list. Using your TBR list, random chance, & the help of your fellow readers on social media, you’ll be sure to find a great book to read next…maybe one you might not have picked up for a while! Determine what you’ll be using for your TBR list (e.g., your bookcase, a Goodreads list, the books available from your library right now, etc.). Count how many sections there are in that TBR list (e.g., how many shelves in your bookcase, pages on your Goodreads list, etc.). Begin playing roulette by asking someone to choose among that number. For example: I want to include library ebooks immediately available. I have 5 pages of items on my library wish list on Overdrive, but when I filter it for the books available now, it’s knocked down to 2 pages. So the number I need to be chosen is either 1 or 2. Next, figure out how many books are included in the chosen section & ask someone to choose a number which represents one of those books. For example: When I look at page 1 on that Overdrive list, it has 24 items on it so now I need someone to choose a number between 1 & 24. That final number represents the book you should read next! 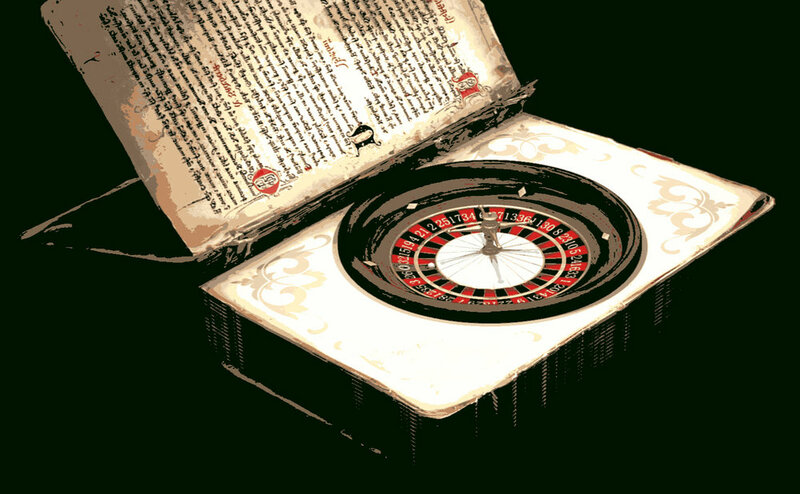 Note: We urge you to read the book chosen by roulette cause after all, that’s the fun of it! But if for some reason the choice doesn’t work well (e.g., you’ve already read the book, it’s not available, etc. ), just skip it & ask someone to choose another number.